Teach your Children to properly wear a PFD . Children panic when they fall into the water suddenly. 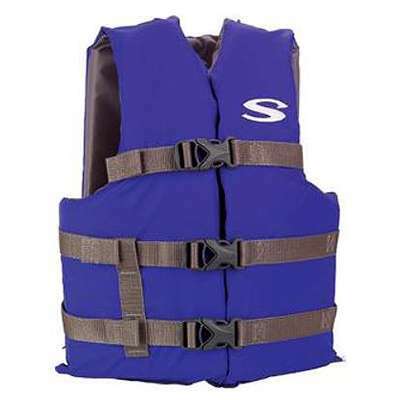 This causes them to move their arms and legs violently, making it hard to float safely in a PFD. A PFD will keep a child afloat, but may not keep a struggling child face-up. That's why it's so important to teach children how to put on a PFD and to help them get used to wearing one in the water. 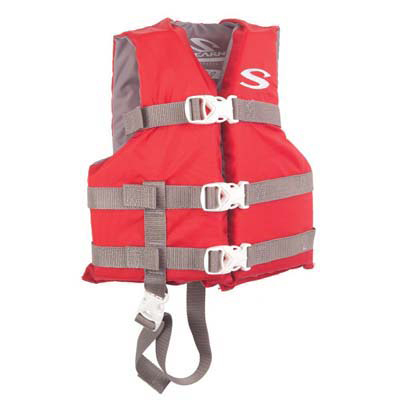 To check for a good fit, pick the child up by the shoulders of the PFD. If the PFD fits right, the child's chin and ears will not slip through. PFDs are not babysitters. Even though a child wears a PFD when on or near the water, an adult should always be there, too. Parents should remember that inflatable toys and rafts should not be used in place of PFDs. Unless the parent is first able to test their newborns out in a life jacket, sized for infants, in a swimming pool, they will not know if that device will float their child with his/her head out of the water. You must be sure you know the PFD you have works for your infant. Otherwise we recommend the child not be exposed to any risk in a boat on the water. You should test your PFD in a swimming pool. 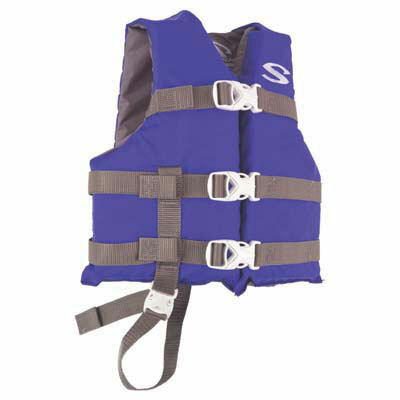 Test it with the infant or child who will be wearing the PFD. Just because it works for one infant or child does not mean it will work for another in the same manner. Check for proper weight range, comfortable fit, and especially a stable face-up position in water. Infants and children are difficult to float in a face-up position because of the distribution of body weight and the tendency for them to struggle or attempt to climb out of the water. Some infants and children float best in one style of vest, while others will float better in another. If one does not work well, try another style. Remember: Never leave an infant or child unattended on a dock, on a boat or in-the-water, even if they have a PFD on.